The Master’s degree programme in Applied Informatics is a follow-up two-year study programme to the Bachelor studies in Applied Informatics or some other close fields of studies. 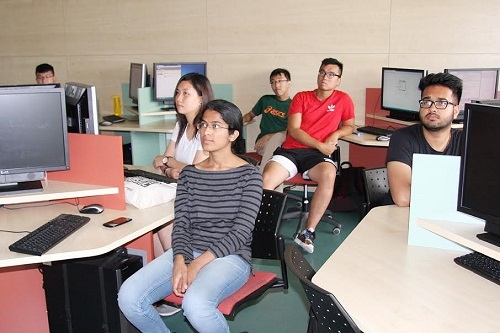 It combines subjects from the core fields of Computing and related areas, Information Systems and Software Engineering, Image Processing as well as Communication Technologies. Necessary skills in the field of designing and building secure information systems, information and knowledge technologies, as well as methods of collecting, structuring and evaluating large quantities of data will be developed. The options of some background in the associated disciplines of managerial psychology and economics are offered as optional courses for students as well. Master’s degree applicants are required to have 2 semesters of mathematics in the previous Bachelor’s degree education. The tuition fee for one academic year: 3000 EUR. The deadline for submitting application forms is 31st March.